Mortgage interest rates have been at historic lows for quite a while now but, as the economy picks up steam, that may not last. What factors affect mortgage loan rates? Why do rates rise and fall? There are two types of forces at work: Macro forces, such as the economy, the housing market, etc. – which we discussed last time; and Micro forces, which are the ways YOU interact with the mortgage process. Today, let’s talk about those Micro, or Individual forces that affect mortgage loan rates. Compiled from various sources around the web, including the US Government, Motley Fool, and Forbes. 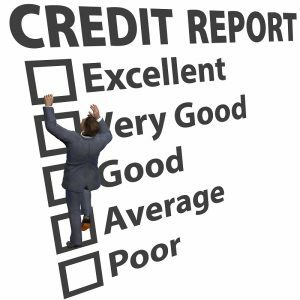 So get a copy of your credit report. Check it for errors and fix them. See if there are some debts you can pay down right now. You CAN improve your score, so check into it! More info here. How active and healthy is the housing market in the state or county where you want to purchase? “If the housing market is healthy where you’re looking, then a lender is less likely to charge a higher rate because it’s less worried about the risk of default.” City vs. Country is another consideration. Out in the country, there may be fewer lenders, therefore less competition and higher rates. Too small a loan, and the lender isn’t making much profit, therefore, higher rates. Too large a loan, the bigger risk that you will default on it. Again, higher rates. In general, the “sweet spot” in US mortgages is between $100K and $417K. Very much related to Loan Amount, as the loan amount is Home Price minus Down Payment. Typically, a higher down payment – 20% or higher – gets you a lower rate. Fixed or adjustable? Each has its advantages. “Fixed interest rates don’t change over time. Adjustable rates have an initial fixed period, after which they go up or down based on the market.” This one can get complicated. For this – and many other – reasons, consult a lending professional! How long will it take you to pay off your mortgage loan? 15 years? 30 years? “Most lenders incentivize promptness, meaning the shorter your loan term, the lower your mortgage rate will be.” And, the shorter your loan term, the less interest you will pay. That’s the rundown of Individual factors that affect mortgage loan rates. The details may be a little hard to follow, but one takeaway is that, however it works, rates are still low. Will they stay that way? History says maybe not. So take advantage of low rates, and contact New South Mortgage, Charleston’s trusted name for nearly 20 years!